The Science of Ripley’s Believe It or Not!® exhibition, which runs until September 5 at the Ontario Science Centre, encourages visitors to follow their natural curiosity in the unusual and explore the science behind the unbelievable. We’re proud to locally support this highly interactive and engaging exhibition that promises fun for the whole family. There is so much to do! Crawl through a life-size model of a prehistoric snake, measure up against the world’s tallest man, investigate incredible examples of body modification and experience some of the world’s most perplexing optical illusions – just to name a few interactives. Give yourself an hour or two to fully experience this remarkable exhibition – trust us, you’re going to need it! Our favourite exhibit in The Science of Ripley’s Believe It or Not! – and we might be a tad biased! 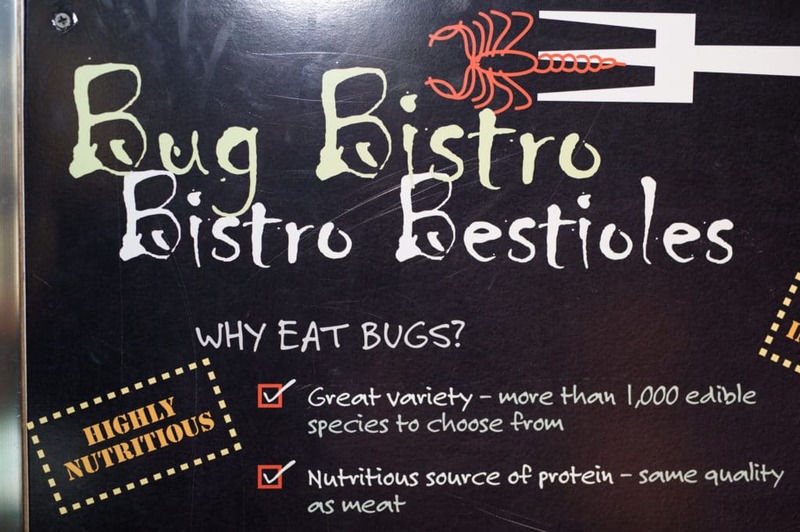 – is the Bug Bistro, where you can order up a virtual bug dish to learn about entomophagy, the practice of eating insects, and the potential it has to play in the future of food.